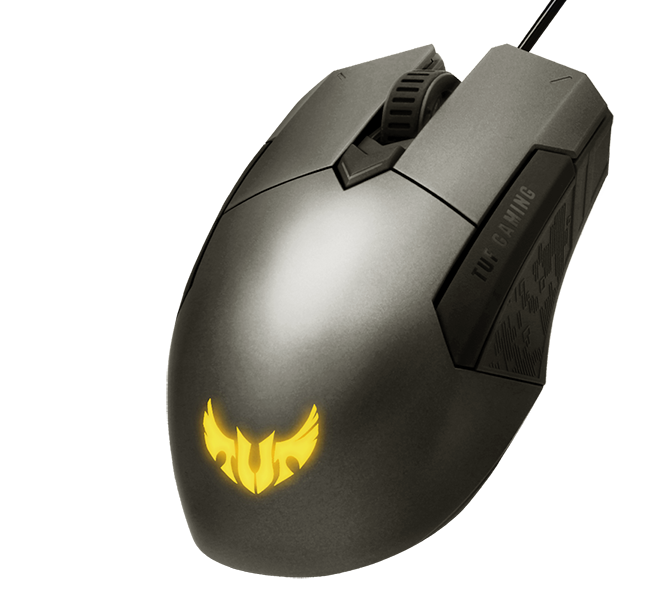 Fitted with a gaming-grade 100- to 6,200-dpi optical sensor and tracking up to 220 inches per second (IPS), TUF Gaming M5 delivers the accuracy, precision and speed you need to compete. And with a 1,000Hz polling rate, you'll enjoy lag-free responsiveness for ultrasmooth gaming experiences. Aura Sync gives you the freedom to personalize your TUF Gaming M5 using the entire color spectrum and various lighting effects. The illumination is easily synchronized with the extensive Aura Sync ecosystem, so it's a breeze to create a truly unique gaming den that really shines. Armoury II is driver-based software that offers extensive controls and an intuitive UI so you can easily tune the TUF Gaming M5 and play your way. Create profiles, customize colors and lighting effects, map buttons, adjust performance settings and more. You can even track hardware stats during gameplay for entertaining data analysis.